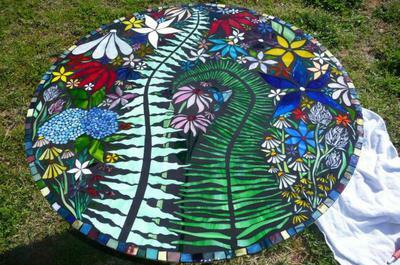 funky floral popping colored stained glass mosaic table top. Hydrangias, Vellum, daisys, bright, fun, quirky alice in wonderland like. That describes every floral I have ever done!